Close on 80 cars will contest the final round of this season’s World Rally Championship, Wales Rally GB. The gravel event, which runs from 10-13 November over a new route from north Wales to the capital Cardiff in the south, has attracted 78 registrations with 20 World Rally Cars in action, including two for home-grown stars Kris Meeke and Matthew Wilson. Meeke is one of five drivers competing in MINI’s John Cooper Works WRC, which Brazilian Paulo Nobre will use in competition for the first time. 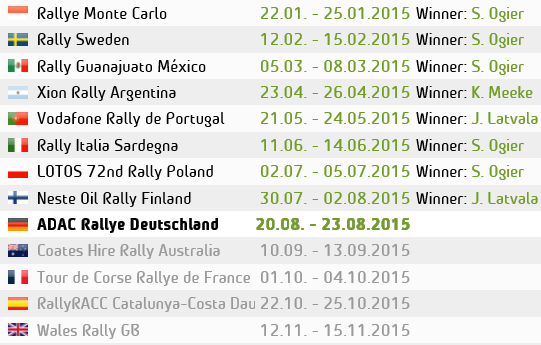 Wilson, meanwhile, is one of 10 Ford Fiesta RS WRC exponents competing on the season finale. The list of Fiesta drivers includes Super 2000 World Championship graduates Martin Prokop and Ott Tanak. There will be five Citroen DS3 WRCs in Wales with Sebastien Loeb heading the entry as he bids for his eighth world crown against Ford’s Mikko Hirvonen. In addition there will be 16 drivers contesting the Production Car World Rally Championship on Wales Rally GB and 17 vying for glory in the new-for-2011 FIA WRC Academy, although only 14 of those will be eligible for WRC Academy points under the terms of the entry deadline requirement. New recruits to the young driver-training division include Valentin Hummel from Germany and Christopher Duplessis from America. Other notable entrants include Production Car world champion Hayden Paddon, who switches to an R4-specification Subaru Impreza for the first time, Volkswagen Motorsport duo Kevin Abbring and Sepp Wiegand and rising British talents Elfyn Evans and John MacCrone. 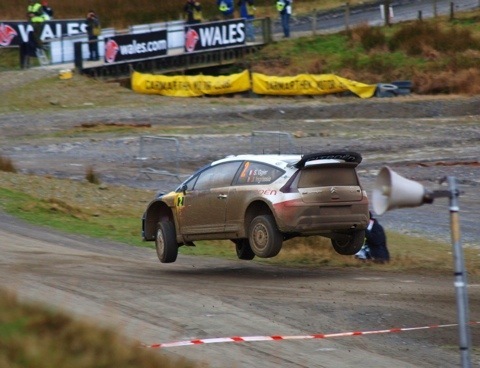 This entry was posted in WRC and tagged rally, Wales, WRC. Bookmark the permalink.